Ukrainian filmmaker Oleg Sentsov suffers from pains in the kidneys and in the heart, Ukrainian ombudsman Lyudmila Denisova informed on her Facebook page. Denisova learned about the fact from the lawyer of the prisoner of the Kremlin. 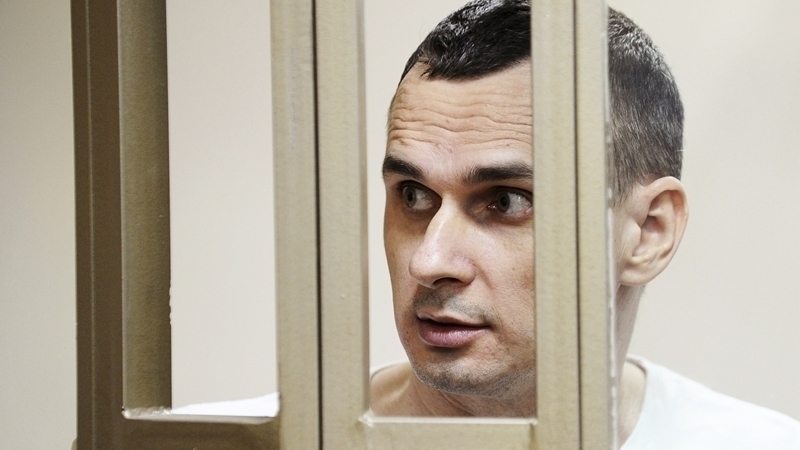 Denisova notes that Oleg Sentsov is now in the medical unit. "He has kidney and heart problems. Oleg drinks 3.5 liters of water a day, and still has daily IVs. This is additional 2 liters,” Denisova wrote. The Ombudsman noted that on the 26th day of the hunger strike Oleg suffered a pain attack and was taken to a hospital outside the colony. Doctors wanted to resort to forced feeding, but Oleg resisted. “Doctors did not insist because of possible publicity and asked to take him back to the colony together with the device for forced feeding. According to the lawyer, at any moment the attack can repeat ...,” Denisova reported. Meanwhile, Denisova's Russian counterpart Tatiana Moskalkova cynically called Sentsov's hunger strike "curative fasting". According to her, Sentsov gained weight. Secretary General of the Council of Europe Thorbjørn Jagland after the meeting with Moskalkova said that he was ready to file a petition for pardon of Ukrainian filmmaker Oleg Sentsov illegally convicted in Russia.